Here's an all-new game from Yggdrasil Gaming. No man or woman on Earth would be able to resist a good old mystery. A story where they get to find out who's the thief behind the missing jewels, or who's the great mastermind behind a series of murder cases in Victorian London. Furthermore, no man or woman on Earth would be able to resist a good old mystery, when it also involves watching a matching combination light up your screen and give you big winnings. For more of their games, check out slots here! 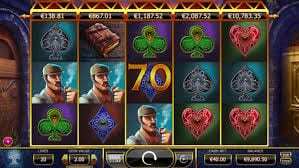 The developers behind Yggdrasil presents avid casino gamers with Holmes and the Stolen Stones slot, an online slot game that's based on Arthur Conan Doyle's brilliant creation. They have managed to relive the great stories that have been adapted into the many films and television series that you watch today at home! It's been a few years since the NetEnt's last CEO decided to leave the brand, and it's been a few years since he brought YggDrasil to fruition, and started to produce some of the most advanced online casino games that no one has seen before. The developers behind the name are not bound to using Java or CSS when they're creating games with beautiful, sharp graphics. That's what makes them quite unique when comparing their products to others that different iGaming developers have made. Furthermore, they are able to make their graphics and gameplay flawless for when a player would load up one of their games on any device that you could think of. 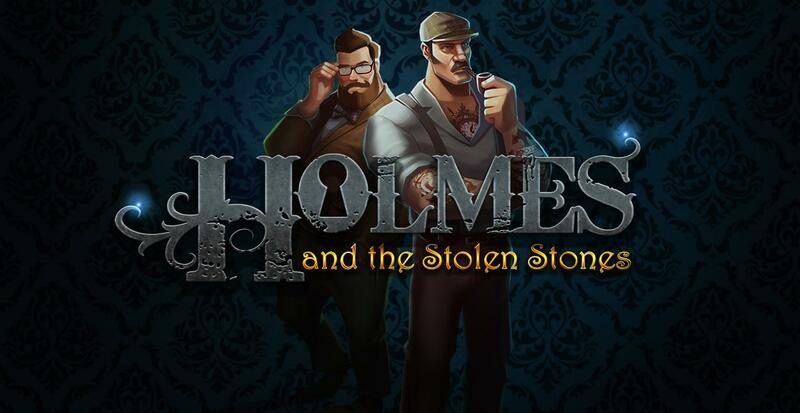 If the great reviews for Bicicleta, Alchymedes, or Empire Fortune isn't enough for you to try out Holmes And The Stolen Stones, then maybe its big payouts will! You can try and play on some of these slot games created by Yggdrasil Gaming. In the background, you'll see a stone room dimly lit with fire torches that illuminate the wooden doors that you'll see behind your fixed 5x3 reel. Like in all traditional slot games, you have your spade, heart, diamond, and club base symbols that give you the low payouts. 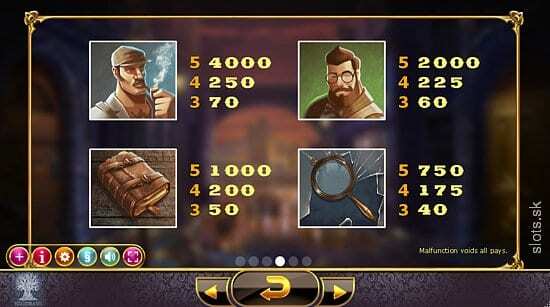 For players who love solving a mystery, this is the best choice for them. For others that are not, click here. The base symbols that give you the high payout come in the form of a leathery book, a magnifying glass, Sherlock Holmes himself, and his trusty sidekick. But don't keep your magnifying glass fixated on the base symbols though, for there are many special symbols that can help you answer the mystery and win you the big jackpot. Free Spin logo: If you get 3 or more of these symbols on your reels, you'll activate the Free Spins round, from which if you get 4 or 5 of them, you'll also receive 100 or 1000 coins. Getting 5 diamond shards on your screen triggers a free spin too, and if you get them all in the same colour, you'll be 1 step closer to the jackpot. All winning lines will add a multiplier of 3 to your winnings. Keyhole SCATTER: If you get 3 or more of these symbols on the reels, you'll trigger the bonus round, where you can find a bag of coins or massing shards of diamonds, these shards will be trasferred back to your winnnings in the bonus game. It's also good to now that if you get 4 or 5 of these symbols, you'll also receive either 100 or 1000 coins. The bonus round will end once you find a bomb in 1 of the crates. Diamond symbol: If you're lucky to receive 5 diamonds of the same colour on your reels, you'll win the big jackpot. There aren't a lot of bonus features, or any WILDS as a matter of fact, which could amplify your winnings. But why settle for a few extra features, where there are many symbols that can take you straight to the jackpot?